So I just hit my screen with my Vape mod, and it made a small hard bubble on the screen protector. Should I take the protector off to see if the screen is okay, or should I trust this screen protector and leave it? 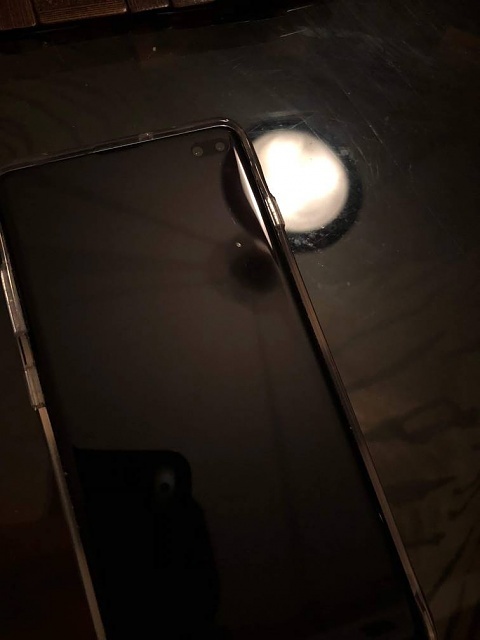 I had the S9+ naked and the screen got scratched pretty easily, and idk if this screen is the same. Should I rely on it? It wasn't so bad, but it just cause that little bubble caused by impact. I would take it off if it were me. The bubble would bother me. lyingfromyou and GrooveRite like this. My S9+ went without protector, and no problems with screen scratching. So, if your use has the screen scratching "pretty easily", I'd worry about the compromised screen protector. You don't want to run naked. Take it to a local Samsung repair facility and have them evaluate it. They can replace the screen protector with another Samsung one just like out of the box. Hate screen protectors. Popped off the one that came with the phone and have been very happy. Phone is much more responsive with the plastic off. Just don't put your phone in your pocket with stuff like keys or loose change. I agree. More often than not, the greater risk of scratches and dings are from having things like keys and coins in your pocket. Mine always goes solo in the same pocket face in. I'd remove the protector and go commando. However, if you are really worried, get a Whitestone Dome screen protector. I'll be taking mine off when it scratches, it's plastic it will. Then I'll probably run naked. I'm gentle with my phones, so that's the question you have to ask yourself, are you gentle with your phone? Your statement, you scratched your s9 screen easy tells me you probably want a screen protector. This is the one everyone seems to like in the forums. Tech Idiot, ClintRo and Jesus Delgadillo like this. I purchased and installed the Whitestone Dome Glass on my phone. It went on and sealed very well. However, the fingerprint would not work with the glass on. I had turned on button about using with a cover and tried every fingerprint and thumb. It just kept saying press harder. I then went on Amazon where I purchased and read the reviews. I was not the only one with this problem. There were all kinds of complaint that the fingerprint button did not work. Did you retrain your finger after installing the whitestone protector? jlangner and 11B1P like this. Enable touch sensitivity and delete/re-register your thumbs more than once. Yes definetly enable touch and re-register after applying. I am using whitestone and no issues at all. I will be installing my Whitestone Dome screen protector when I get home. I will definitely re-register my fingerprints after the fact. Please let us know how it goes and if the FPS still works fine? Thanks for the responses guys. Actually my S9+ was very well taken care of, never had keys or coins near it, neither on pockets. But the screen still scratched after cleaning the screen from humidity, as I live in Houston, TX and we have the most humidity here lol. 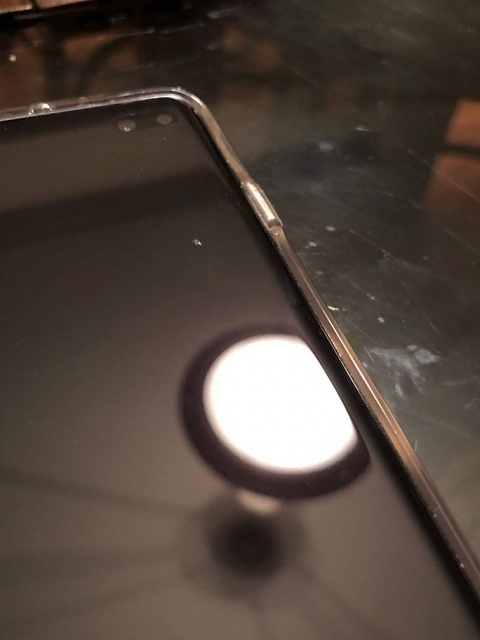 My question on this post though was regarding my vape mod slipping from my hand and hitting my s10+ screen, and the screen protector creating a small bubble due to the impact, and my concern if the screen is fine. Any pics of the bubble and screen? So this pre installed screen protector is just plastic? Funny no one mentioned this in the reviews, but they all mentioned it had one. 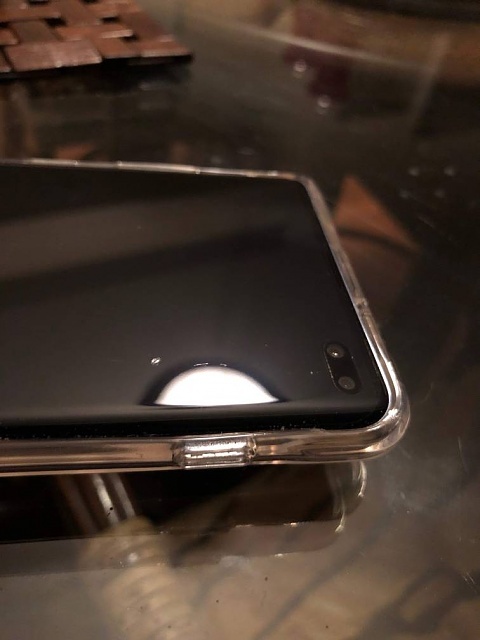 If this is the case one seen a few places advertising tempered glass protectors that are supposed to work with the fingerprint sensor. Yeah, it's just plastic. I love it though...so far. Yeah it's a screen protector made by Samsung for this specific phone's features like the FPS. It's a great protector so far. Doesn't make the phone look like it has 2 glasses and it covers the entirety of the screen to perfection. That would prolly drive me bonkers. It is driving me crazy lol but I cant afford a glass protector at the moment so I have to keep it on. That's true. The screen would look different in that particular area. Speaking of, are any of you planning to do that Dome Glass thing for 50 or 80 bucks? After I posted here the very next video I watched said, I'm going to take off this plastic screen protector. Lol. So I started looking and it seems that the Whitestone product is about the only option and the cost is, wow, but my real hold up is the gluing something to the phone and it's not perfectly edge to edge... What do you all think? I doubt I'll be installing the Whitestone Dome but we'll see how long the stock protector lasts/looks good. By TangoOscarMike in forum New to the Forums? Introduce Yourself Here! why does my tv switch off when i switch off my nvidia ?